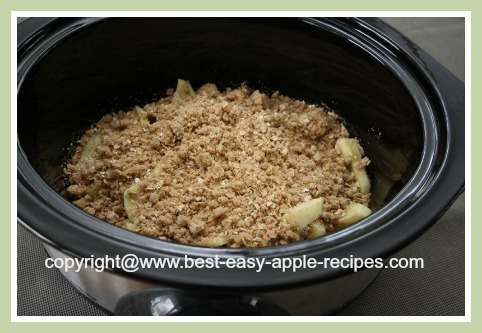 This Crockpot Apple Crumble Dessert Recipe makes the best apple recipe in the slow cooker! 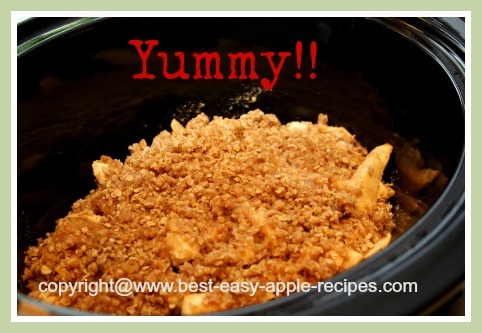 You CAN make a delicious fruit crumble in the crockpot or the slow cooker! Yummy indeed! You can use any type of apple for this recipe. 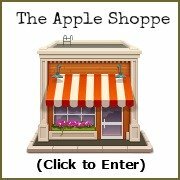 I used golden delicious, but gala, or any other apple variety will work well too! Lightly grease the bottom, and about 2" up the sides of the crockpot. 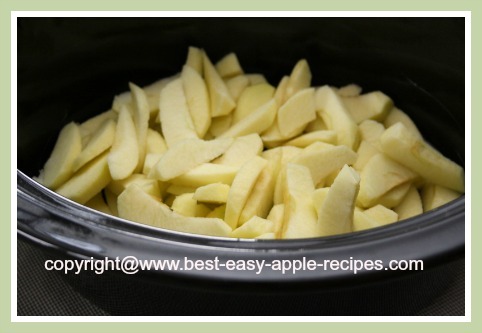 Place the prepared apples in the bottom of the crockpot. 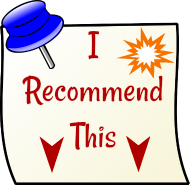 *Add the 1 1/2 tbsp. water unless the apples are very juicy. In a small bowl, combine the brown sugar, flour, rolled oats, nutmeg (optional), and the cinnamon. Using a pastry cutter, a fork, or your fingers(! 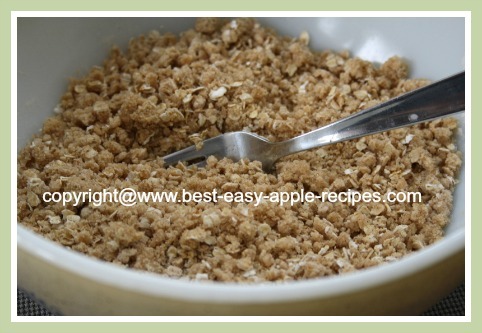 ), cut in the butter, and mix until the mixture resembles coarse crumbs. 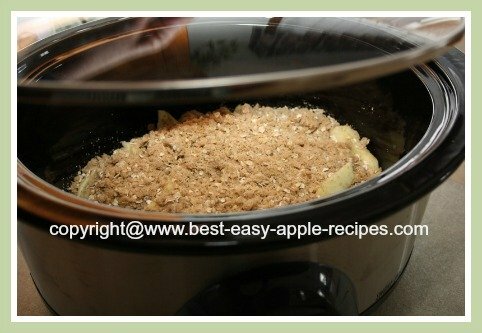 Sprinkle the crumb mixture over top of the apples in the crockpot. Cook on "low" for about 3 - 5 hours (I set my recipe for 3 hours and it turned out perfect!). Serve warm (or cool) plain, or with ice cream, whipped cream, whipped dessert topping, or Greek yogurt. 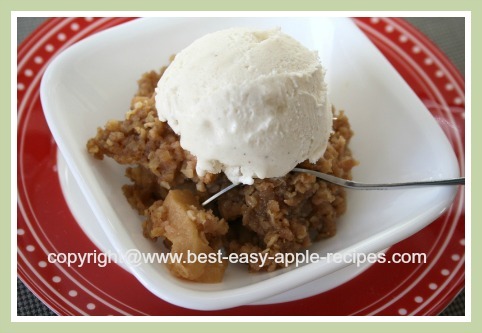 ENJOY this delicious Crockpot Dessert - Ready when you are!